Obama 2008 and 2012: Now. You. Know. — 1389 Blog - Counterjihad! Obama 2008 and 2012: Now. You. Know. in 1389 (blog admin), 2008 US Elections, 2012 US Elections, Barack Hussein Obama, Illinois, Is Obama mentally defective? First presidential debate between Barack Obama and Mitt Romney in the run up to the general election in November. AIDS dementia complex, or cocaine abuse? Last night I did a Live-Stream-Transcript of the presidential debate from Denver, which you can checkout HERE if you want to catch up. Megan Fox and I did a post-debate recap show too that’s a quick listen this morning…click HERE for that. 10. Obama was injected with amphetamines or something before the debate and they wore off about 20 minutes in. Here in Chicago, word on the street for the last month has been that Valerie Jarrett was specifically tasked with getting Obama off coke and other drugs before the debates so that he would not embarrass himself on stage for an hour and a half. So, word is that Obama’s been detoxing since at least September. This explains how haggard he’s looked and how prickly he’s acted for a while now…it’s what addicts look and act like when they’re cut off from their drugs. Remember that a President can have whatever drugs he wants. The Secret Service are not there to keep the president from breaking the law, they are just there to keep him alive. Obama’s main drug suppliers are the junior staffers who work in the White House who go to Lafayette Park and buy him whatever he wants…and he also gets special deliveries from his friend Bobby Titcombe in Hawaii, who brings him “fish and poi” to the White House (that’s Hawaiian slang for “weed and coke”). To get through the almost two hours of being on TV, Obama looks like he needed a big injection of beta-blockers and/or amphetamines. If you noticed at the beginning of the debate he was talking fast, acting erratic, and blinking like CRAZY he was still jazzed up by whatever they gave him. About twenty minutes later, it seems like the adrenaline in his system from being in front of the crowd might have caused the uppers to wear off…and his energy levels collapsed after that. By the end of the debate, Obama looked like he was aching for a new fix. This could be the reason Michelle Obama rushed him off stage and skipped the traditional “let’s waive to the crowd for a while” schtick. She could tell he needed to get out of sight because he totally lost it out there. 4. Obama’s hands were skeletal, his face was twitching, his eyes had deep dark circles around them, and he generally looked like death walking. In Chicago, most people on the ground think Obama has ‘The Slims”, which is black slang here for AIDS. I personally think he has Parkinson’s disease…which is actually related to cocaine abuse in black men. Obama shakes, his face twitches, and he’s gaunt these days. This is more than just severe drug abuse in the White House…this is illness. The man is not well, and it’s showing. Is it ‘The Slims” or is it Parkinson’s? You be the judge. But someone with a five-star chef living downstairs, access to any kind of food that he wants, and nonstop vacations and “golf outings” should not look like a desiccated corpse walking around on stage in Denver. Something is seriously wrong. Of course, his medical records are kept hidden and not released to the public (unlike any president before him). I used to volunteer a lot with AIDS charities here in Boystown and would deliver holiday meals to shut-in AIDS patients who looked more robust and alive than Barack Obama did last night. Minitrue won’t talk about it…or even mention it…but THAT was not a healthy man up there. That was someone who will be in a wheelchair or be bed-ridden soon. After nearly four years in office, many Americans still express frustration that much about Barack Obama remains a mystery as establishment media remain incurious about the Democratic president, while seemingly ready to dispatch crack investigative teams at a moment’s notice to probe into the personal lives of Republican figures such as Sarah Palin. Largely ignored in 2008 was research by the Hillary Clinton campaign based on contacts developed with members of the church Obama attended for two decades, Trinity United Church of Christ in Chicago. This is the first of a series of articles WND has developed from months of in-person interviews with church members who have known Barack and Michelle Obama over many years. The sources requested that their identities not be published because they believe their disclosures would put their security at risk. NEW YORK – Ten years ago, the New York Times reported on a growing underground subculture in the black community known as Down Low, comprised largely of men who secretly engage in homosexual activity while living “straight” lives in public. It’s within that subtext that opposition researchers for Hillary Clinton’s 2008 presidential campaign began investigating rumors that Rev. Jeremiah Wright was running a “matchmaking service” for members of his Trinity United Church of Christ known as the Down Low Club, which included Barack Obama. Over the past several months, WND investigators have interviewed a number of members of the church who claim the president benefited from Wright’s efforts to help black men who engage in homosexual activity appear respectable in black society by finding them a wife. The Down Low Club at Trinity “doesn’t have meetings, and it isn’t like the Rotary Club,” a source identified for this article as “Carolyn” explained to a WND investigator in Chicago. “It was more that Wright served as a matchmaker,” said Carolyn, a 20-year member of Trinity who has played a role in church administration and knows the Obamas personally. The male source was a “computer consultant” who claims not to know “scratch” about computers. But “getting with the program” at Trinity meant he could keep living a “gay” life and receive lots of computer consulting work thrown his way by Trinity, as long as he was willing to marry an unattractive woman who otherwise might have ended up a lonely spinster with no means to provide for living. Carolyn explained that for many black families, attending Trinity was a way out of poverty. Carolyn and the other members of Trinity who provided statements corroborating her testimony were insistent that WND conceal their identities as a condition of being interviewed. “I’m still scared to discuss any of this,” Carolyn said. Carolyn’s reference was to Donald Young, the 47-year-old homosexual choirmaster at Trinity who died of multiple gunshot wounds in his Chicago apartment Dec. 24, 2007. Young’s murder was preceded Nov. 17, 2007, with the execution-style murder of 25-year-old Larry Bland, another black gay member of Trinity United. He also was murdered in his home, dying of multiple gunshot wounds, according to his death certificate. Just two days after the murder of Young, a third openly “gay” member of Wright’s church, Nate Spencer, reportedly died of septicemia, pneumonia and AIDS. As WND reported last month, a prominent member of Chicago’s homosexual community claims Obama’s participation in the “gay” bar and bathhouse scene was so well known that many who were aware of his lifestyle were shocked when he ran for president and finally won the White House. Ok, I want to clear my conscious a little. Hopefully you could make a blog post to help some fellow clinton supporters out. I work for a campaign and can’t wait for this week to be over. Our goal is to continue to make you lose your [morale]. We worked hard at persuasion and paying off and timing and playing the right political numbers to get key republican endorsements to make it seem even more like it was over and the world was coming to an end for you all. Sarah Palin is a huge threat, and our campaign has feared her like you can’t imagine. If it seems unfair how she has been treated, well its because she has had a team working round the clock to make her look like a fool. It has become increasingly difficult to contact potential respondents and to persuade them to participate. The percentage of households in a sample that are successfully interviewed – the response rate – has fallen dramatically. At Pew Research, the response rate of a typical telephone survey was 36% in 1997 and is just 9% today. The general decline in response rates is evident across nearly all types of surveys, in the United States and abroad. At the same time, greater effort and expense are required to achieve even the diminished response rates of today. These challenges have led many to question whether surveys are still providing accurate and unbiased information. You read that correctly: In any attempted poll or survey, only 9% of attempted contacts come back with an actual response. That means 91% of sampled households are NOT having their opinions recorded by pollsters. 53% of Americans actively refuse to answer poll questions. Out of every 7 people contacted by pollsters, only 1 will answer the polling question, while the remaining 6 refuse to answer. Six to one, people; six to one. Think about that for a second. What are those 53% thinking — and why would they purposely refuse to cooperate with pollsters? Furthermore, where are those unreachable 38%? At work? On drugs? Curled up in a fetal position under the couch? Pew goes on to claim that, despite the appallingly low cooperation rate in 2012, they think their estimates of public opinion are fairly accurate in any case. That may have been true in past years, but we won’t know this year until after the election how accurate the polls were. There’s only one possible conclusion to reach: That the non-cooperating 86% of contactees are twice as likely to be Republicans and independents as they are to be Democrats. This imputes a HUGE skew into all poll results, a skew that is rarely acknowledged. Did you miss a call from a pollster because you were at work? Did you refuse to answer a question from a pollster, once contacted? If so, why did you refuse? Even if you don’t answer poll calls, do they record your non-response as support for Obama anyway? Graphs, reader responses, and updates here. That comment by ‘Sara’ is unreal!! Says it all, as we we couldn’t have figured some of this out ourselves. Alinsky to perfection, and HRC did her thesis on him did she not? 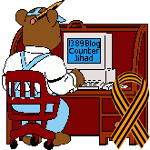 In which 1389 dons her prediction hat for 2012/2013 and onward — 1389 Blog - Counterjihad!